Research suggests vinpocetine may improve cognitive performance and short-term memory loss that is sometimes experienced with stress or aging. 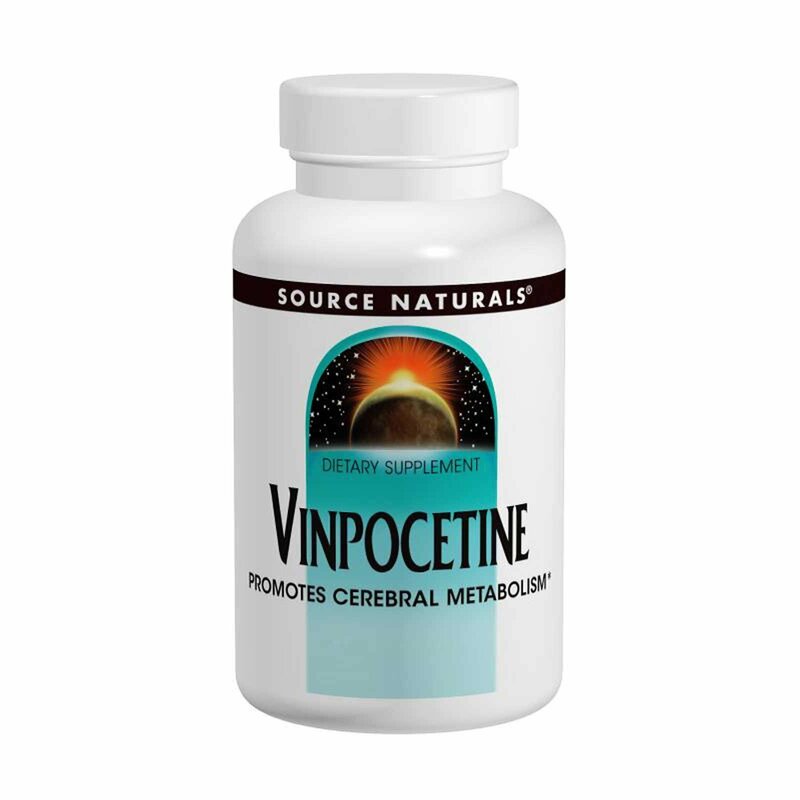 Animal studies have shown that vinpocetine significantly increases circulatory parameters including total cerebral blood flow. 1 tablet 1 to 3 times daily with food. Do not exceed three tablets per day. Microcrystalline cellulose, stearic acid, and magnesium stearate. May cause stomach upset if taken on an empty stomach. If you have low blood pressure, have a history of heart problems, strokes or are using bloodthinning medications, consult your doctor before using this product. For adult use only. Do not use if you are pregnant, may become pregnant, or breastfeeding.